Does the thought of blogging for your business fill you with dread or, like me, are you a blogging enthusiast? I’ll admit it now, I love to blog. For years I blogged for my scriptwriting business, I have a writer’s blog, and obviously there’s this Fi Phillips Copywriter blog too. I’m never happier than when I’m tapping away at the keyboard creating my latest blog offering. There are some wonderful business blogs out there, many that I visit on a weekly basis, but equally I come across business websites that are blog-less, or worse still, have started a blog but not posted in months (sometimes, years). I get it. Maintaining a blog requires commitment, ideas and time. Worse still, revealing your personality in a blog article can be scary. My business takes up all of my time. I haven’t a second to spare on writing blog posts. I’m not interesting. Why would anyone want to read my blog posts? I wouldn’t know what to write. 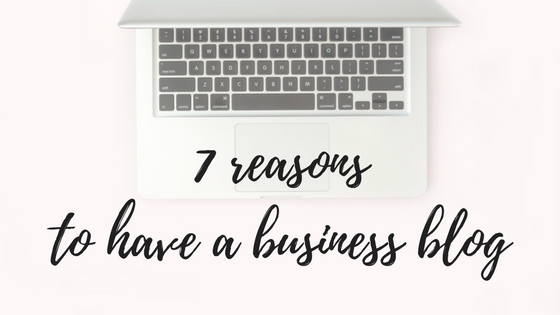 Those are just a few of the reasons I’ve heard from business owners. 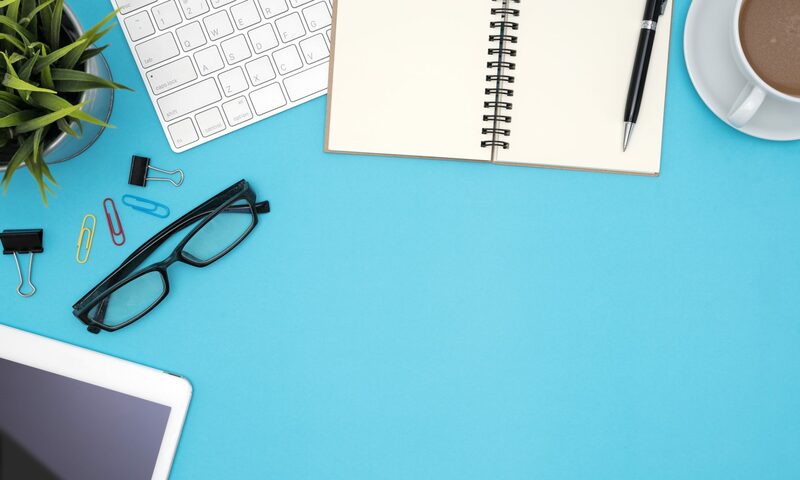 All of them are honest reactions and I totally understand, but with a little forward planning and a dollop of self-confidence, any business owner can develop a healthy blogging habit. Still not convinced? Let me explain how writing a blog could benefit your business. So you already have your bank of customers. Some come and go. Others provide you with regular work. You can’t just assume though that they’ll remain to be your customer forever. To maintain your working relationship, you need to do three things. First, you want to stay at the forefront of their mind so when they next need to use your kind of services or buy the type of product that you sell, you’re the one they go to. Second, you need to build on your relationship with them by adding extra value. Finally, you want to stay in touch with them and keep them up to date with any developments in your business. Writing a regular blog post can fulfil all of those. You know your business and exactly what value you can offer to a customer, but anyone new who comes across your website or social media doesn’t. Posting regular, relevant and authentic (it sounds like you) content to your blog begins the process of introducing your business to any prospective customers or contacts, and the more they come back to read your next blog post, the more they’ll come to know and trust you. Blogging is your chance to get your foot in the door of anyone new, grab and hopefully maintain their attention. What do your customers regularly ask you about? What kind of problems do they have (especially problems that your business can solve)? What are the challenges of your industry and the business world in general? What’s in the news that might raise questions? What do you think needs further explanation? Add value to your customers and readers by providing the answers they need. It might be about your business and how you can help them. It might be about the latest trends in social media. It might even be to do with how their own business is developing. Listen out for possible questions in conversations, physical or emailed, with your customers and contacts. Pay attention to the news and any forums or business groups you’re involved with. You could even make it a regular feature of your blog – this month’s customer question. Fi’s tip: If you can’t think of any customer questions to answer, then ask. Send out an email to your mailing list or post on your social media, asking what questions they need you to answer. Remember when I mentioned in point 2 about posting ‘authentic’ content. That’s how you show your personality, by writing your posts and social media in a way that sounds like you. Regardless of whether you provide a service or sell a product (or both), very few people like faceless organisations. People like to buy from people – people they understand, people they feel they could get along with and, ultimately, people they trust. Filling them in on why you started your business. Behind the scenes blog posts and photographs. ‘How I do…’ posts such as my recent blog post about my logo. Share as much as you feel comfortable with, but enough to show that you’re a human being too. Don’t just write your brilliant article and then leave it sat lonesome on your blog. Share it on your social media. I use Facebook, Twitter and Google+. Re-share your posts every so often, although not to the point that it turns into spamming. Also, do not duplicate your content. Google will penalise your website. When writing a blog post, link back to your past posts if you feel they’re relevant. Even if you can’t do this for every blog post, make the majority of them ‘ever green’, that is, about subjects that aren’t seasonal or linked to current news. Each blog post should be the start of a process, not just the end product. It’s fine, in fact incredibly helpful, to use social media to promote your business, but when you use Facebook, Twitter, Instagram or whoever else to raise your visibility, you’re handing over complete control to them, their rules and their algorithms. Having a website, and a blog, means that you can control what appears there. You don’t have to worry about word count, or whether your title is deemed to be ‘click bait’. You don’t rely on likes, shares or any other deciding factor on whether your post is seen. Rather than considering your blog to be a second rate citizen compared to your social media accounts, see it as the ticket to visibility and SEO (search engine optimisation) that it is. Although you may update and alter your website from time to time, it generally won’t change. Once someone has visited, and discovered all the information they need, there’s no real reason for them to look at it again. A blog that features regular, relevant and well-written posts provides that reason, and the more a prospective customer visits your site, the better the chance that they’ll become an actual customer. There’s another benefit to repeat visitors too. If they keep coming back to read your blog posts, then they obviously like them. If they like (hopefully ‘love’) your blog posts, then they won’t want to miss them. Cue the ‘subscribe to my mailing list’ button. If all of this sounds good but you don’t have the time or confidence to write those blog posts yourself, get in touch. Use my contact form to let me know how I can help.